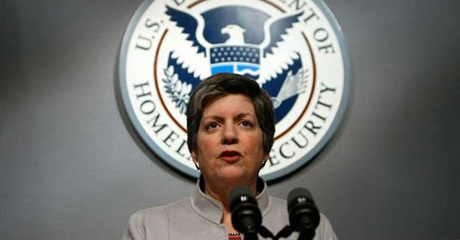 U.S. Secretary of Homeland Security Janet Napolitano announced June 15 that, effective immediately, certain young people who were brought to the United States as young children, do not present a risk to national security or public safety, and meet several key criteria will be considered for relief from removal from the country or from entering into removal proceedings. Those who demonstrate that they meet the criteria will be eligible to receive deferred action for a period of two years, subject to renewal, and will be eligible to apply for work authorization. The Department of Homeland Security continues to focus its enforcement resources on the removal of individuals who pose a national security or public safety risk, including immigrants convicted of crimes, violent criminals, felons and repeat immigration law offenders. Today’s action further enhances the department’s ability to focus on these priority removals. 1) Came to the United States under the age of 16. 2) Have continuously resided in the United States for a least five years preceding the date of this memorandum and are present in the United States on the date of this memorandum. 3) Are currently in school, have graduated from high school, have obtained a general education development certificate or are honorably discharged veterans of the Coast Guard or Armed Forces of the United States. 4) Have not been convicted of a felony offense, a significant misdemeanor offense, multiple misdemeanor offenses, or otherwise pose a threat to national security or public safety. 5) Are not above the age of 30. Only those individuals who can prove through verifiable documentation that they meet these criteria will be eligible for deferred action. Individuals will not be eligible if they are not currently in the United States and cannot prove that they have been physically present in the United States for a period of not less than five years immediately preceding June 15. Deferred action requests are decided on a case-by-case basis. DHS cannot provide any assurance that all such requests will be granted. The use of prosecutorial discretion confers no substantive right, immigration status or pathway to citizenship. Only the Congress, acting through its legislative authority, can confer these rights. While this guidance takes effect immediately, U.S. Citizenship and Immigration Services (USCIS) and U.S. Immigration and Customs Enforcement (ICE) expect to begin implementation of the application processes within 60 days. In the meantime, individuals seeking more information on the new policy should visit USCIS’s website, ICE’s website or DHS’s website. For more information on the administration policy reforms to date, please see this fact sheet on the Department of Homeland Security website.